These portraits are always captured in the first three weeks of life, preferably within the first five to ten days if that’s possible (30-50mins). 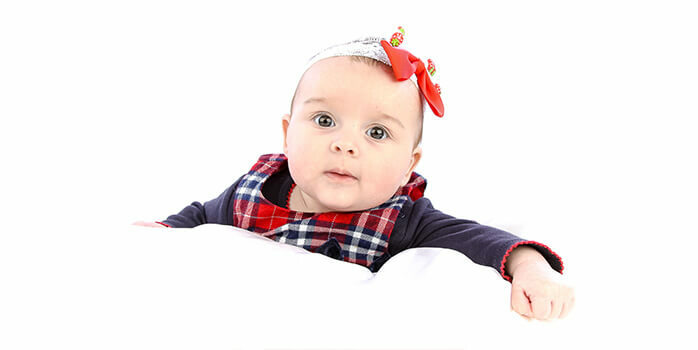 When your baby is relatively safe sitting but not yet fully mobile, we will capture lots of gorgeous giggles and their lovely personality. This is a fun photo shoot in the home or on location with a variety of props if you so wished. It usually lasts between 30-40 minutes. At this stage your baby may well be close to or actually walking and therefore about to become a toddler. He or she will be almost unstoppable in lots of fun ways. It is possible, at this stage to have an outdoor photo shoot for the last session or a cake smash on their first birthday.